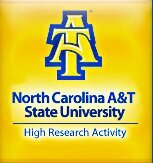 RISE presents students with multiple research opportunities, locally on the campus of NC A&T State University and also with many other organizations nationwide. Are you interested in becoming a RISE Scholar? Take the next step!